The view of concrete as a sustainable construction material is at times, easily overlooked. The press, politicians, environmental advocates and advocacy groups, all alike, spend time outlining and pontificating about the bad, non-sustainable resources and materials used (lumber, petroleum products, etc.). But, these same “experts” fail to address the merits of using building materials that leave a minimal carbon footprint. A myopic approach which discourages the use of sustainable construction materials — one that emphasizes finger-wagging and the-sky-is-falling rhetoric, — negative campaigning ignores to mention the fact that building with sustainable construction materials is not difficult, not at all. For one thing, use concrete. Concrete is one of — if not the — least artificial of sustainable construction materials. Concrete is the definition of green. Concrete is resource and energy efficient. Concrete is durable and inhabitant friendly. And, concrete is 100% natural. It is composed of crushed rock, pulverized stone (lime), silicon dioxide (sand) and water. So, it is 100% recyclable. Not only is concrete a sustainable construction material, concrete is almost limitless in respect to potential uses. 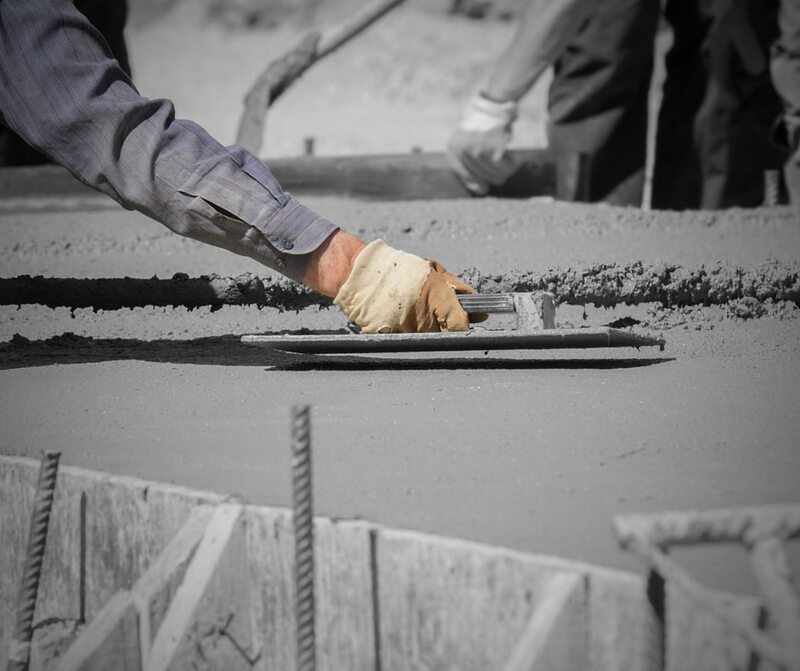 Concrete can be used to build the footers and foundation, walls, floors, patios, driveways, gutters and sidewalks around everything from back yard sheds and small houses to uber-sized buildings and skyscrapers. Concrete is the ideal sustainable construction material for roads, bridges, parking lots, and tunnels. Even telephone poles can be made of concrete. Low Maintenance Costs – Once cured, concrete requires virtually no maintenance to maintain its structural integrity, particularly in dry climates. In wet and humid climates, sometimes a waterproofing agent is used in case the rebar was not held in place three inches from the outside of the concrete during the pour, but doing so is a precaution, not a necessity. Energy Conservation – Concrete is a high thermal mass material meaning a great deal of temperature change for an extended period of time is required to change the temperature of concrete. As a result, concrete stays cool in the summer and warm in the winter. Homes with concrete footer, floors and walls are extremely efficient with respect to keeping habitants comfortable. Also, the light color of concrete reflects — rather than absorbs — solar and thermal energy, a quality that keeps cities and communities less wasteful with their electricity use. Health and Productivity Neutrality or Enhancement – Concrete is benign. In a cured state, concrete is not known to have any adverse health effects except during demolition. Cost Efficiency – Concrete is one of the least expensive building materials even though it is one of the most dynamic and durable. Concrete is far cheaper than wood or stone per square foot and considerably more durable and long lasting that artificial products like kiln plastics and other petroleum based products. Design Flexibility – Almost anything that requires durable, static structural integrity can be made of concrete. There are three types of construction concrete work: flatwork (driveways, parking lots, sidewalks, floors, irrigation ditches, etc. ); vertical and suspend concrete work; and structural. With respect to flat work, concrete can be poured in a variety of manners. It is even possible to pour concrete that is porous and allows precipitation to soak into the ground and raise water tables (pervious concrete). Walls, second level floors, overhanging patios and decks are all example of suspended concrete work. Structural concrete includes things like columns, supports, and bridge abutments. The design flexibility is unmatched.